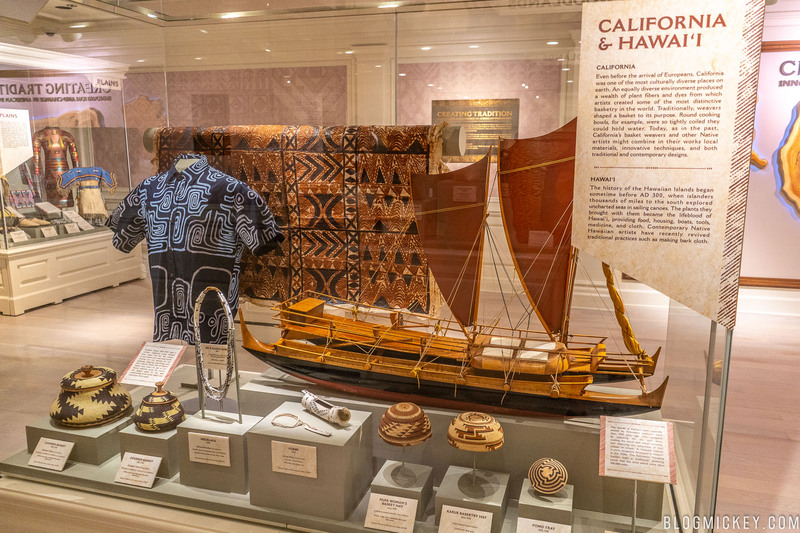 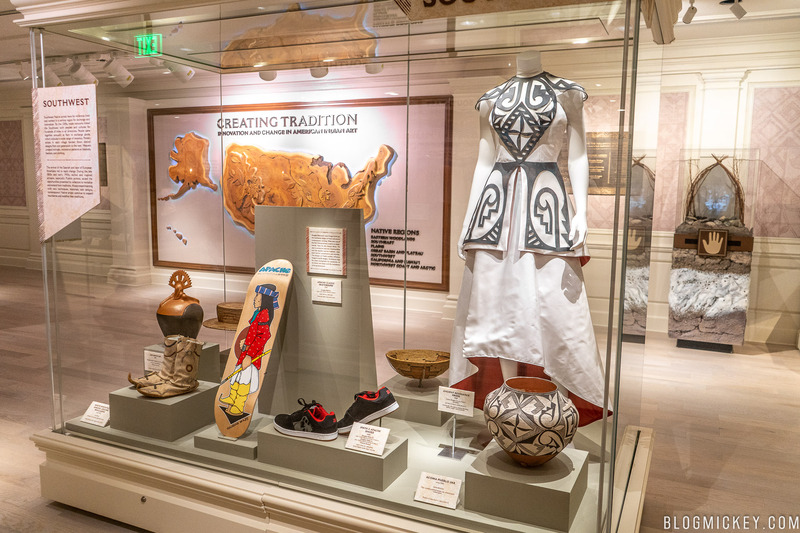 The American Heritage Gallery is now open at Epcot in The American Adventure. 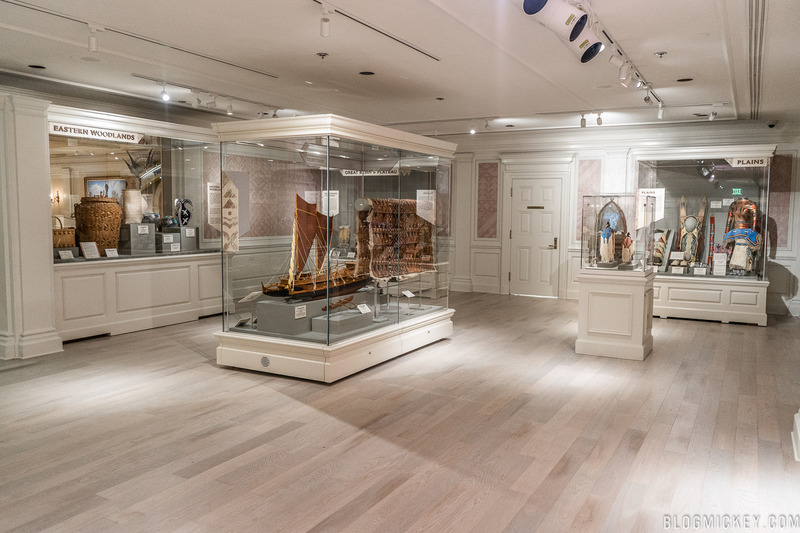 While its official reopening date is later this week, the art gallery soft opened today. 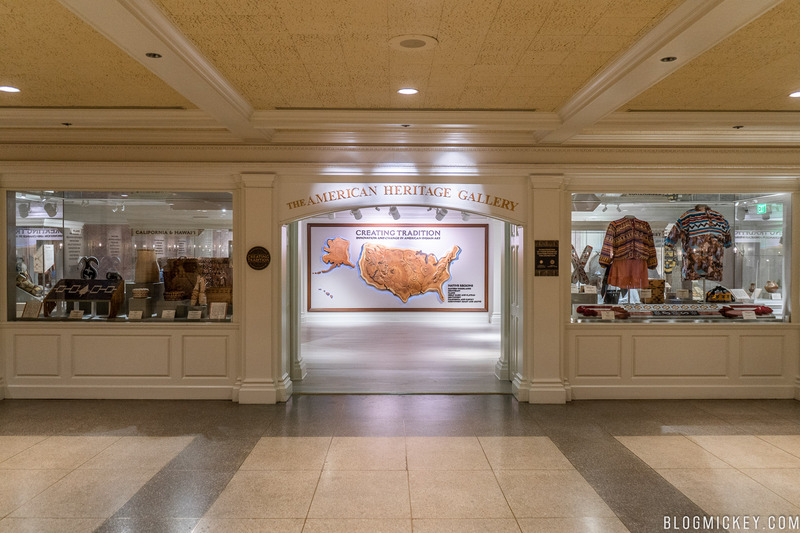 Back with a new theme, the American Heritage Gallery has a reworked floor plan with more space and a modern look. 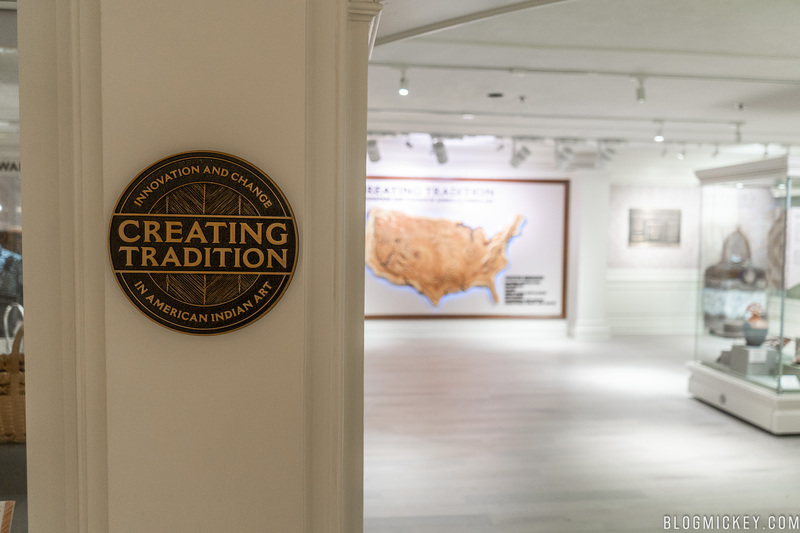 To find the gallery, go into The American Adventure and you’ll find it to your far right. 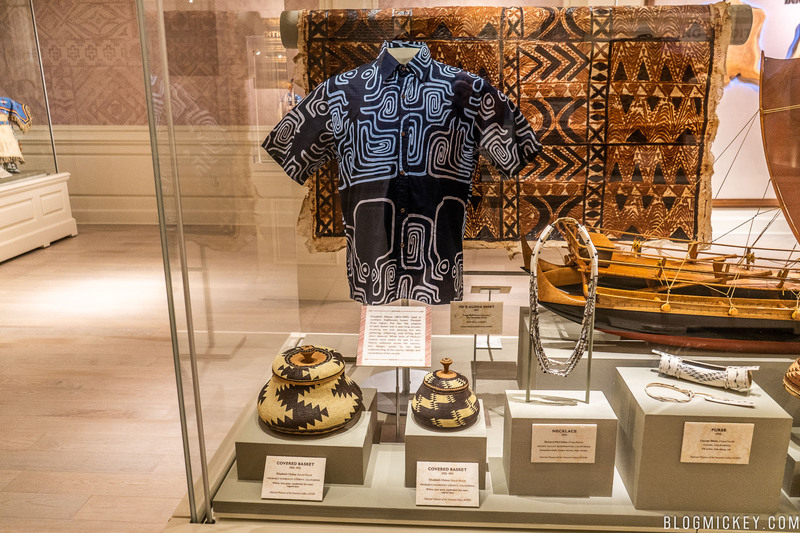 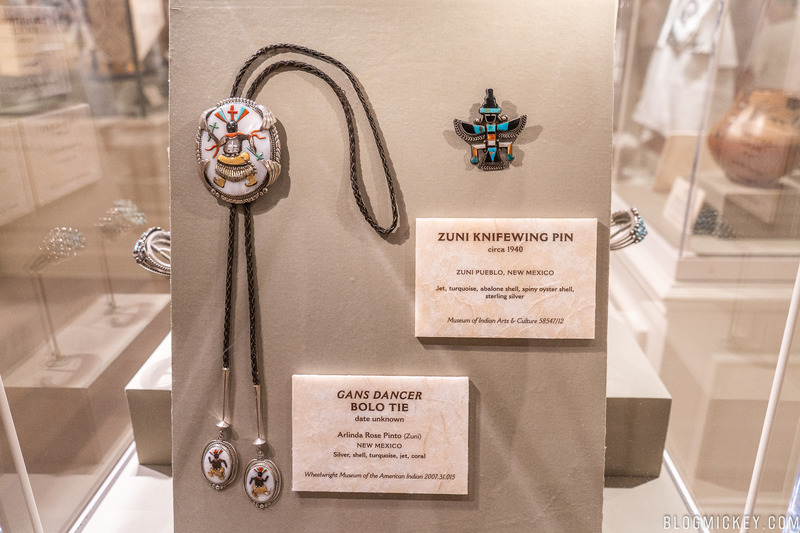 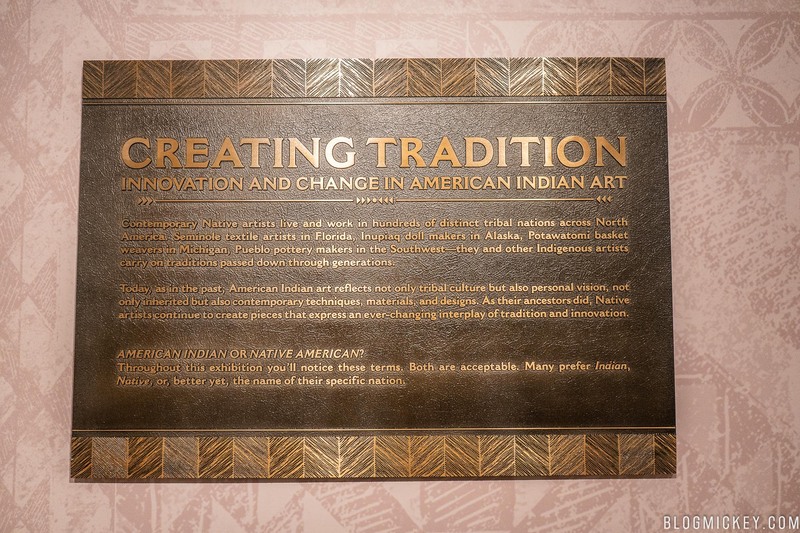 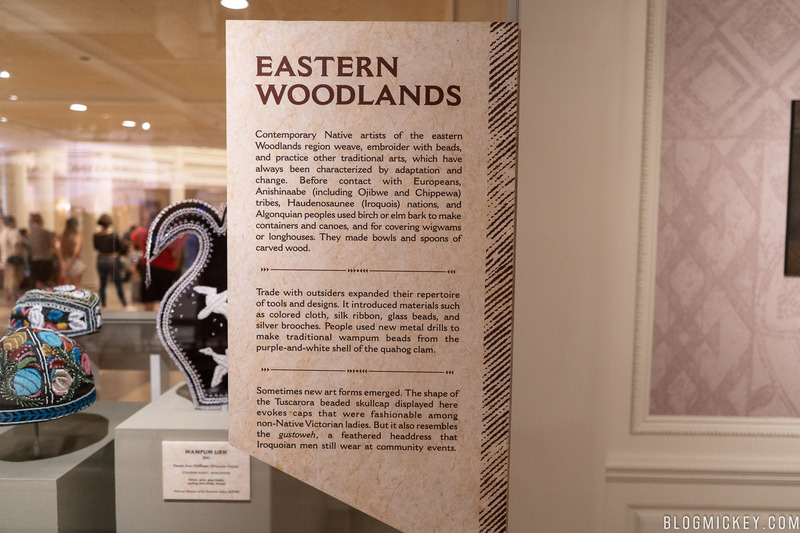 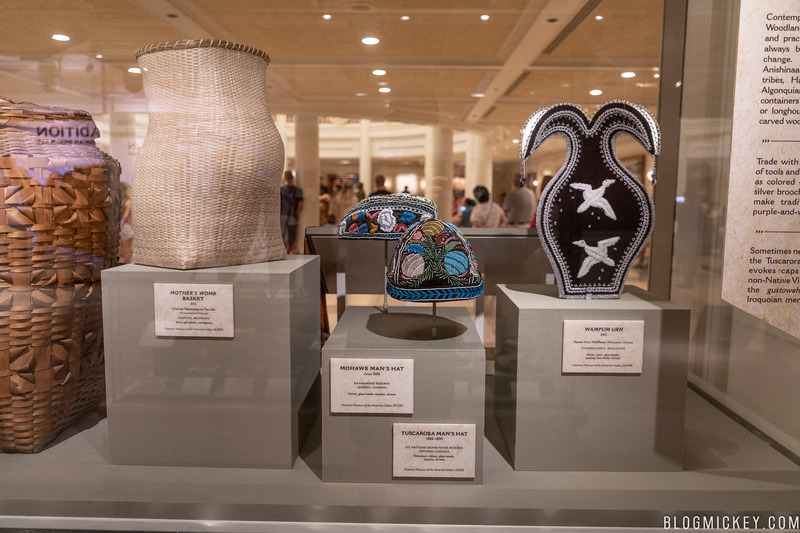 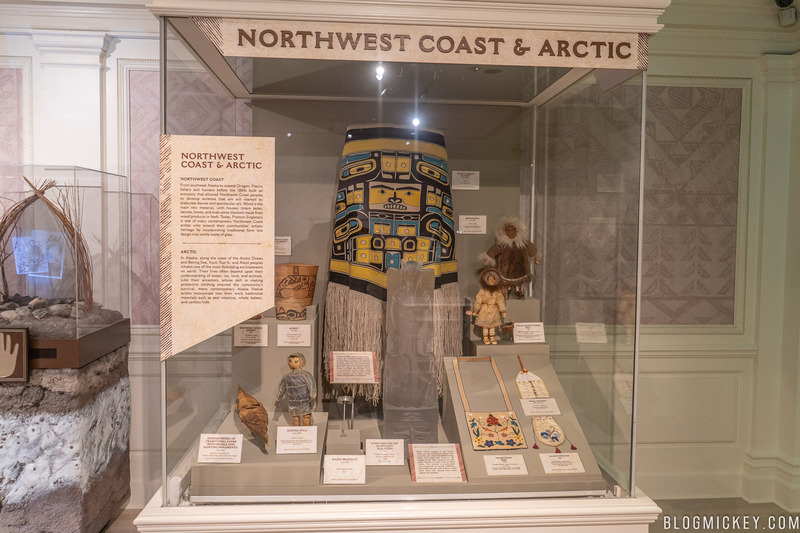 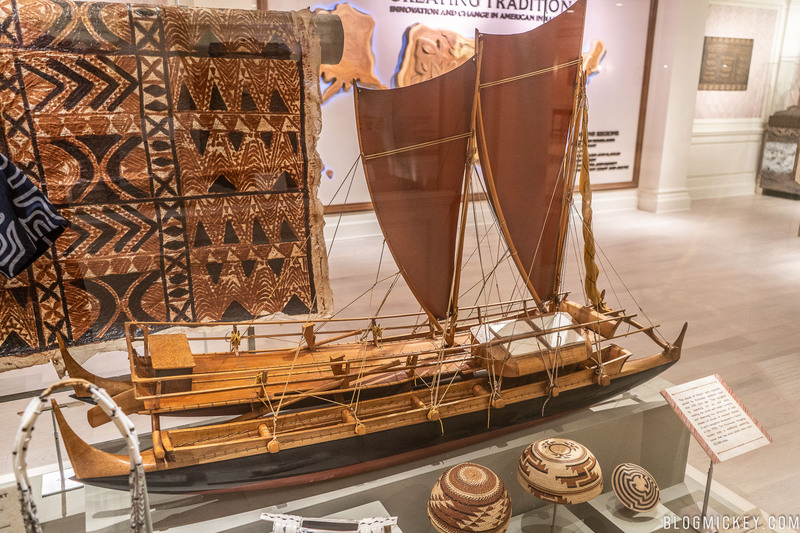 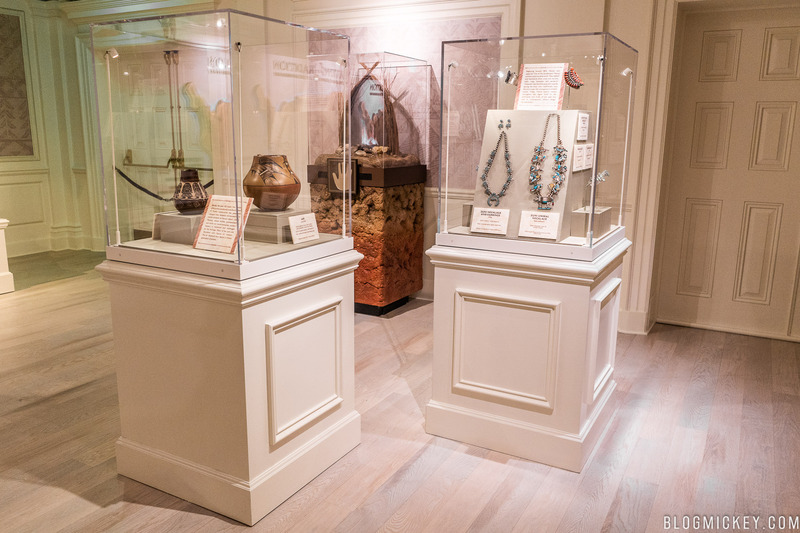 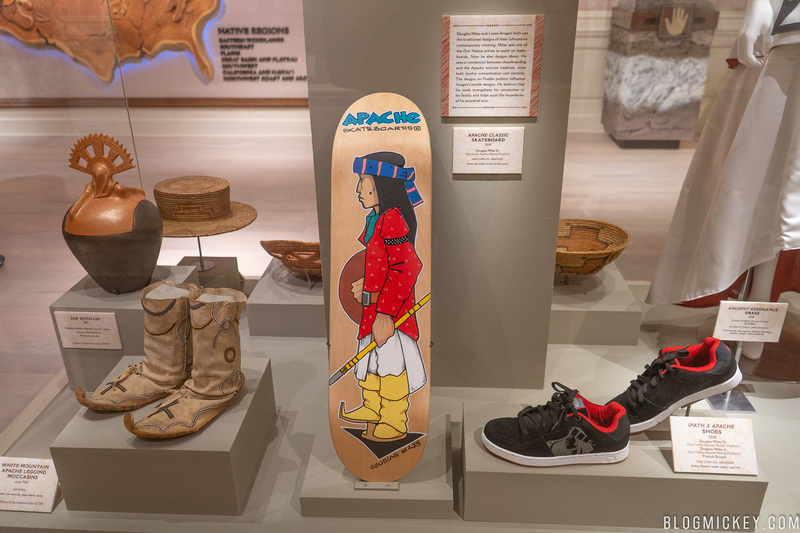 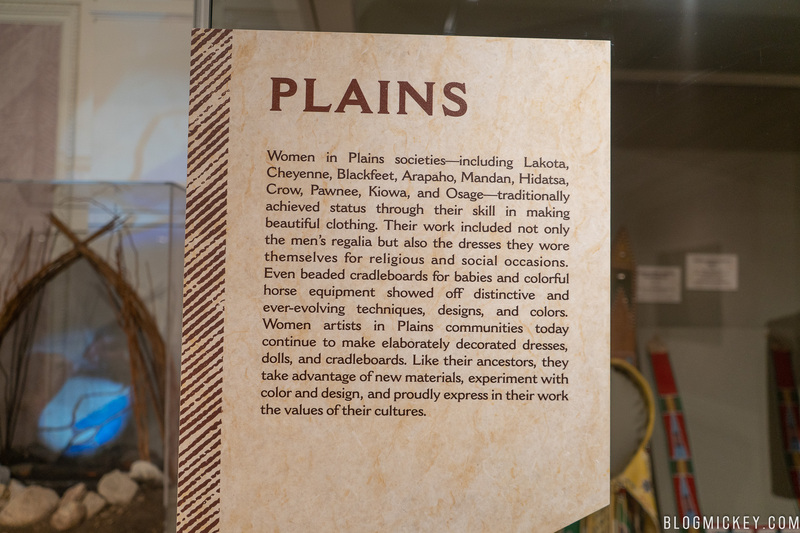 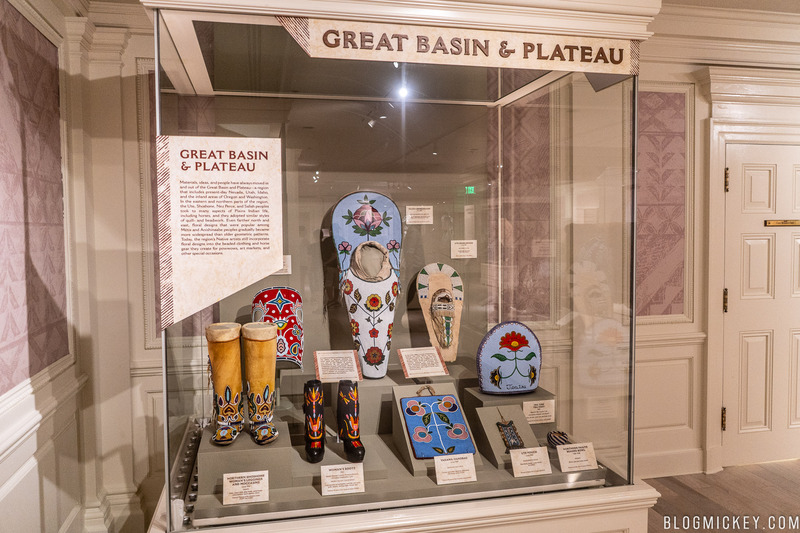 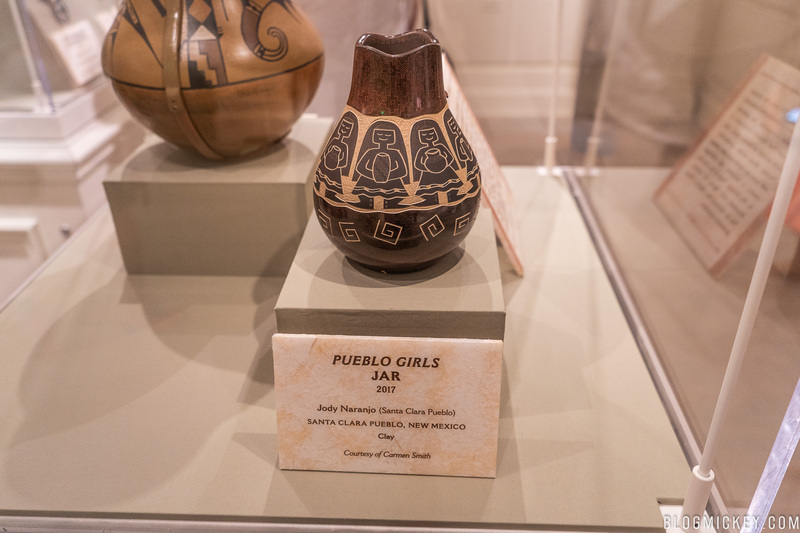 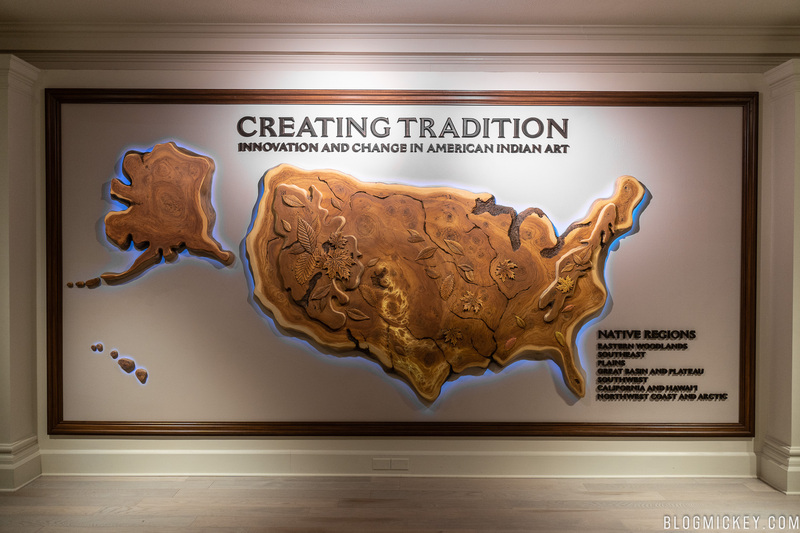 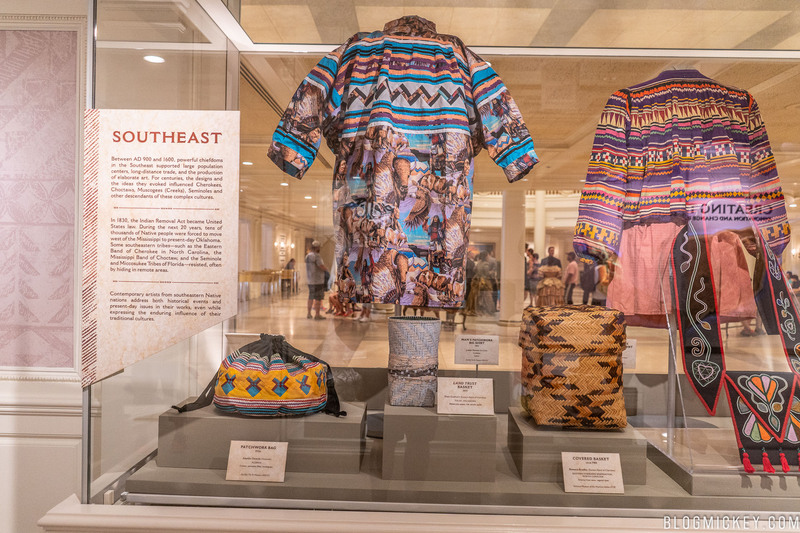 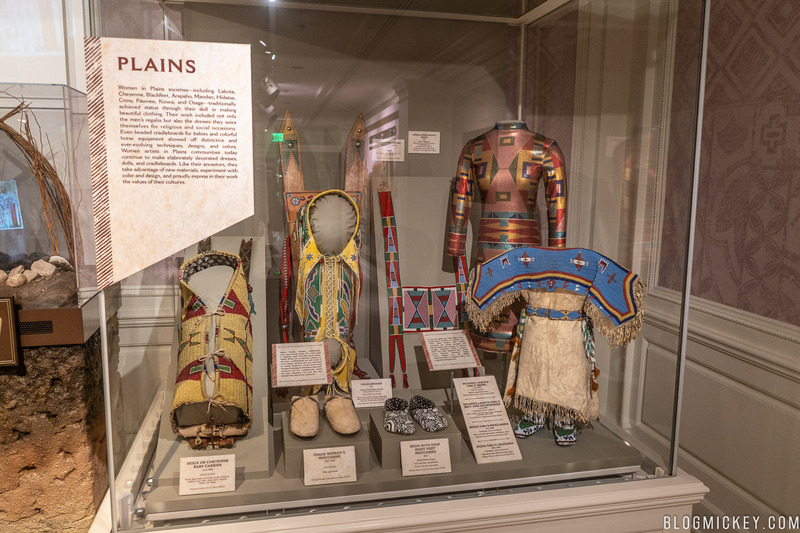 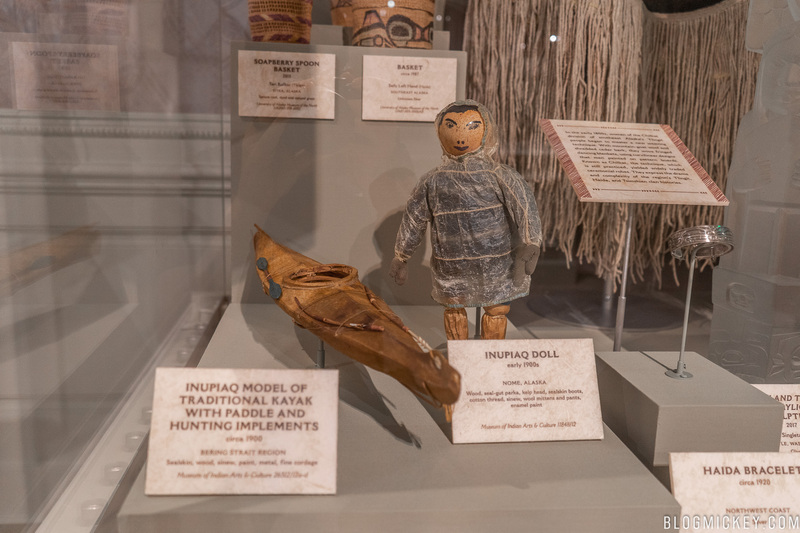 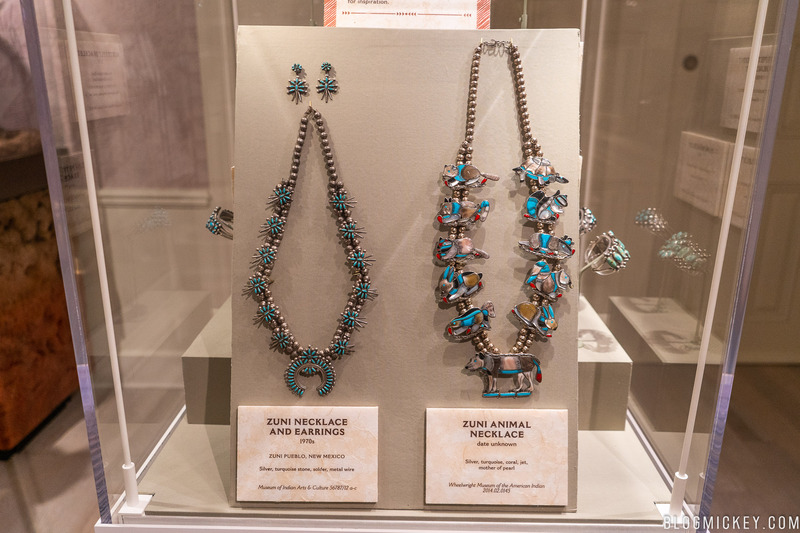 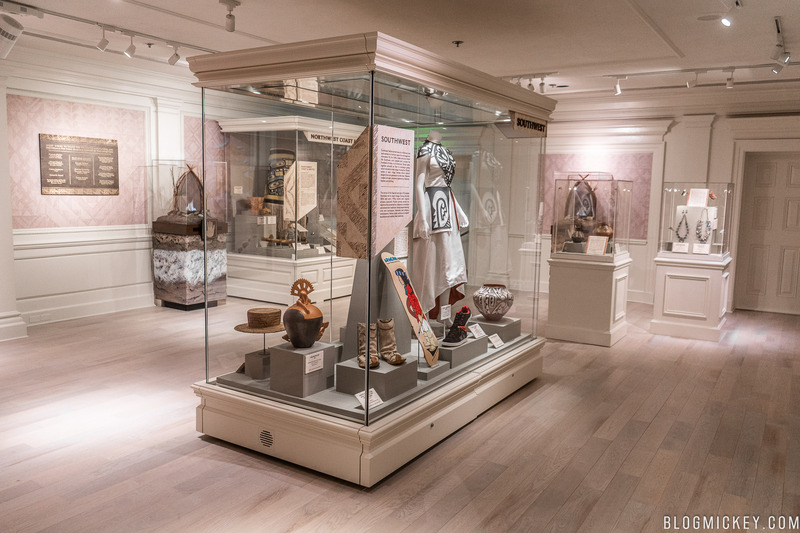 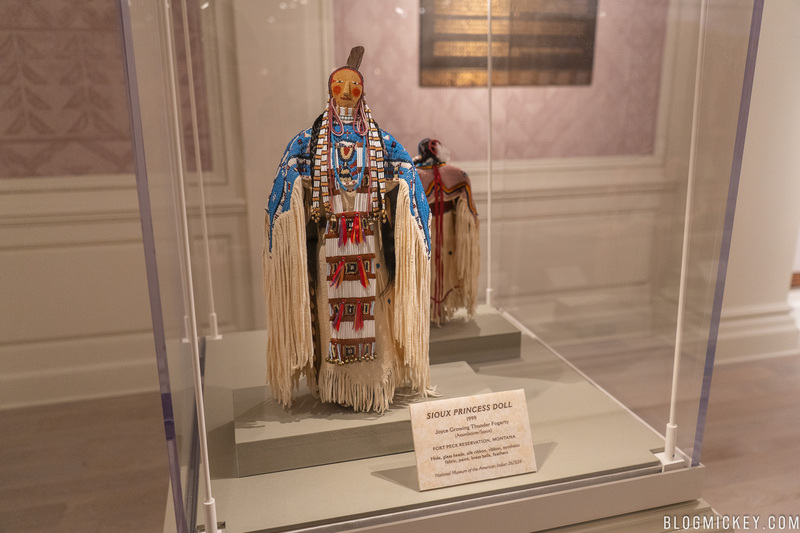 The new exhibit is titled “Creating Tradition: Innovation and Change in American Indian Art” and it focuses on seven different regions and the art that makes each unique. 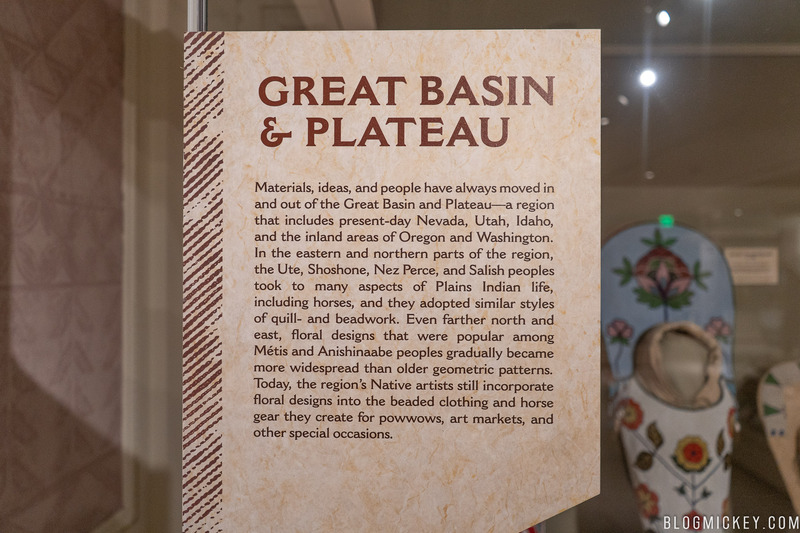 Here’s a brief look around the exhibit. 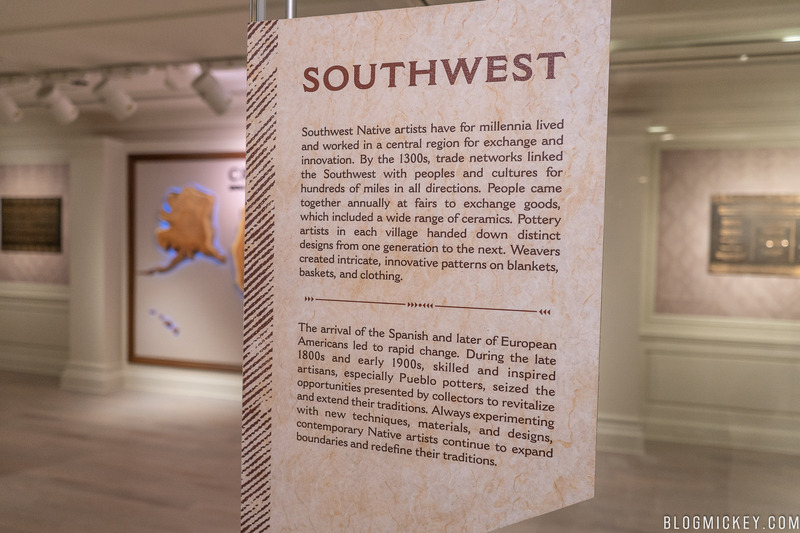 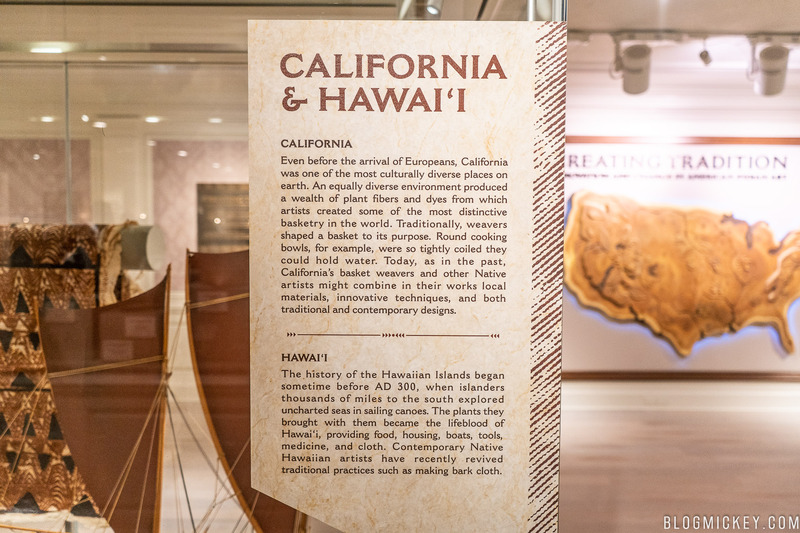 In addition to the exhibit items, there are a few stations that tell a story with the touch of a hand. 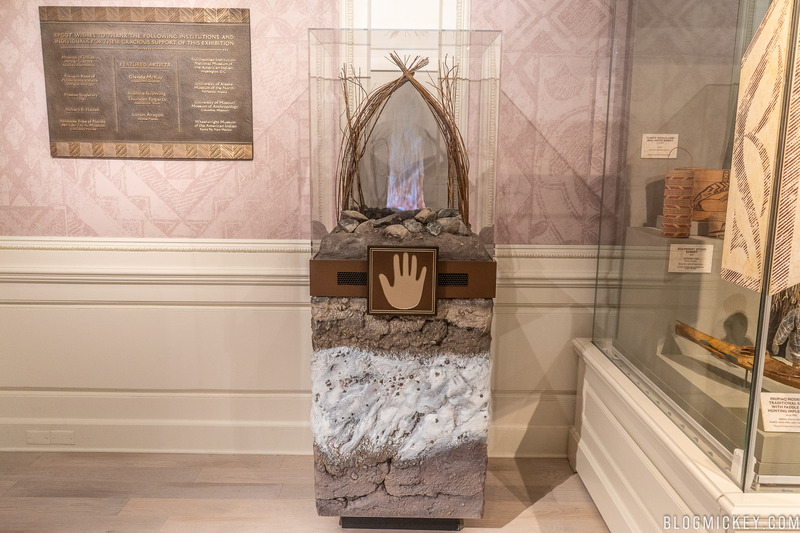 A representative appears in the flames and adds stories and information to the exhibit.